I told my sons that they could start cooking on the stove when they were tall enough to keep their elbows off the surface. They both were able to begin at age 10, but helped me flip pancakes and mix food together way before that. We also have an electric griddle that we placed in the center of the kitchen table that they could cook on with supervision. I wanted to make Manicotti the way I was taught to make it by my Italian boss and his daughter in a restaurant I worked in. They made them the authentic way, rolling the cream filling up into crepes, rather than using pasta tubes. I decided it was the perfect opportunity to teach my older son how to make them himself. We did a double batch, using half of the finished crepes for breakfast, and saving half to use another day for the Manicotti. He cooked almost all of them by himself. I’m sure one Saturday, soon, I will wake up and find him already started on a batch of breakfast “creepies”. 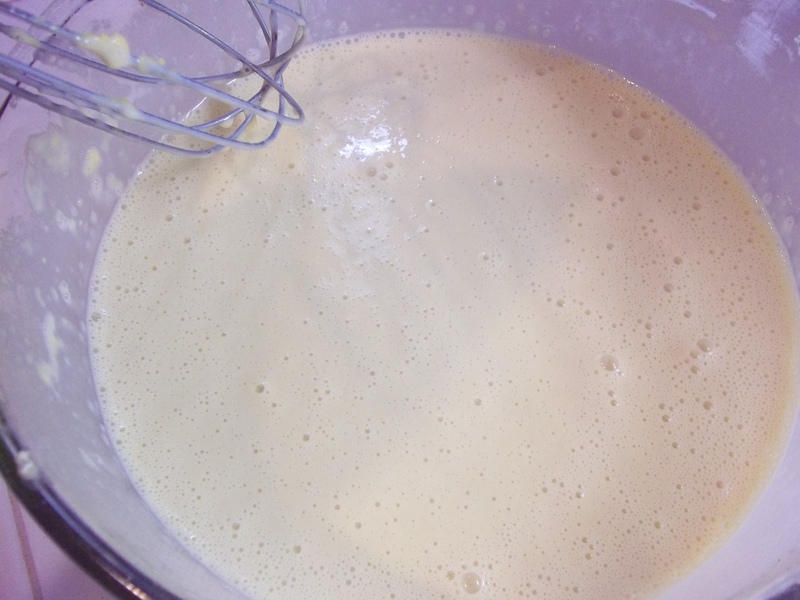 Whisk in the remaining milk. 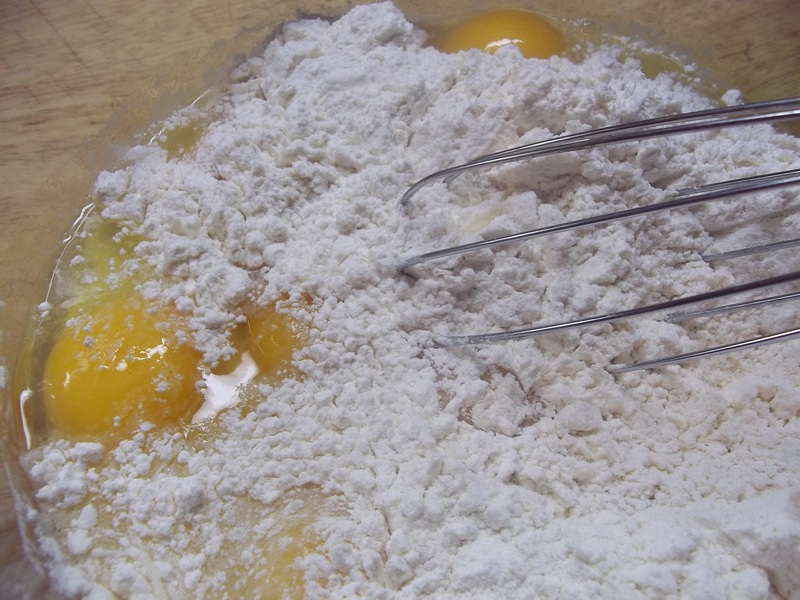 Whisk vigorously to make sure all flour has been blended in and batter is lump free. 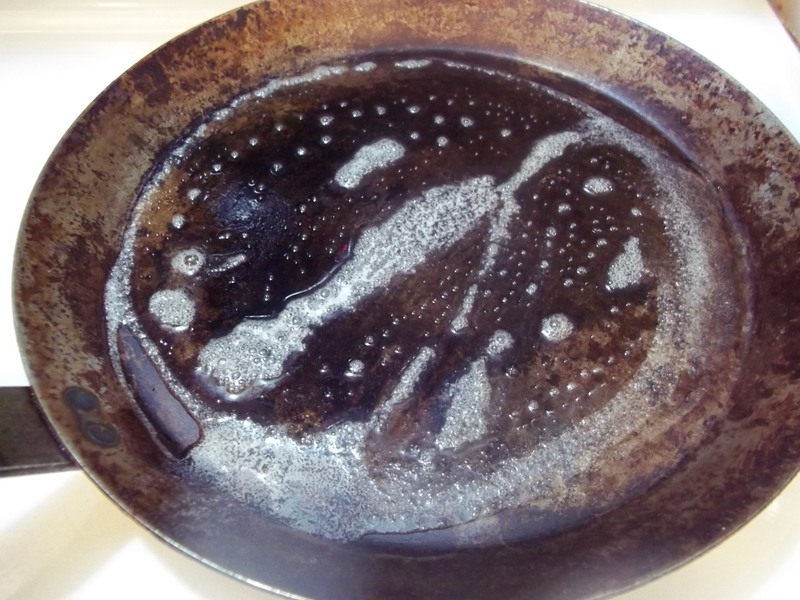 Cook for approximately 30 seconds. 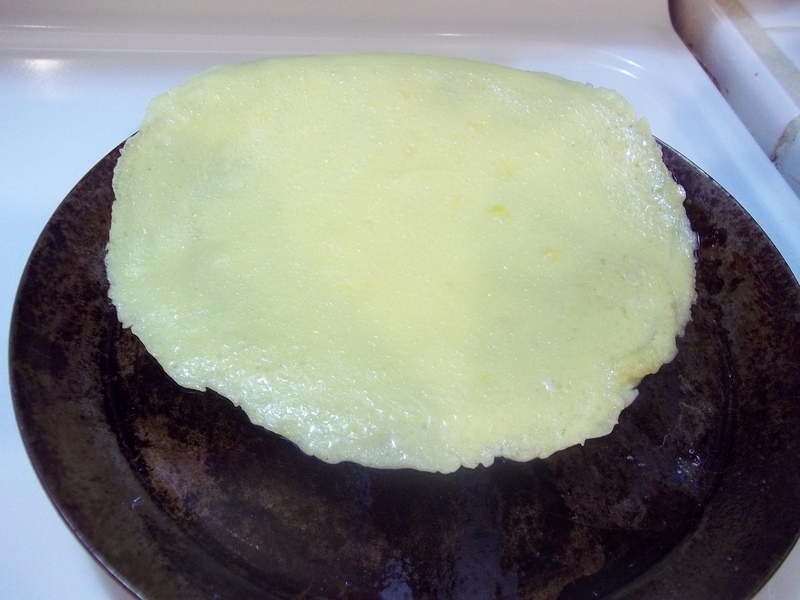 Lift one edge of the crepe with the corner of a spatula. 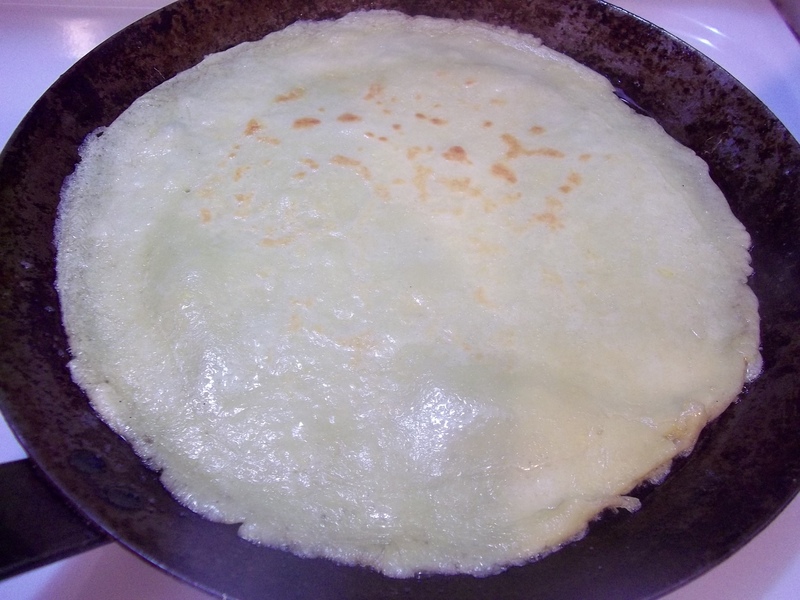 Lift and flip the crepe over. Cook for an additional 30 seconds. 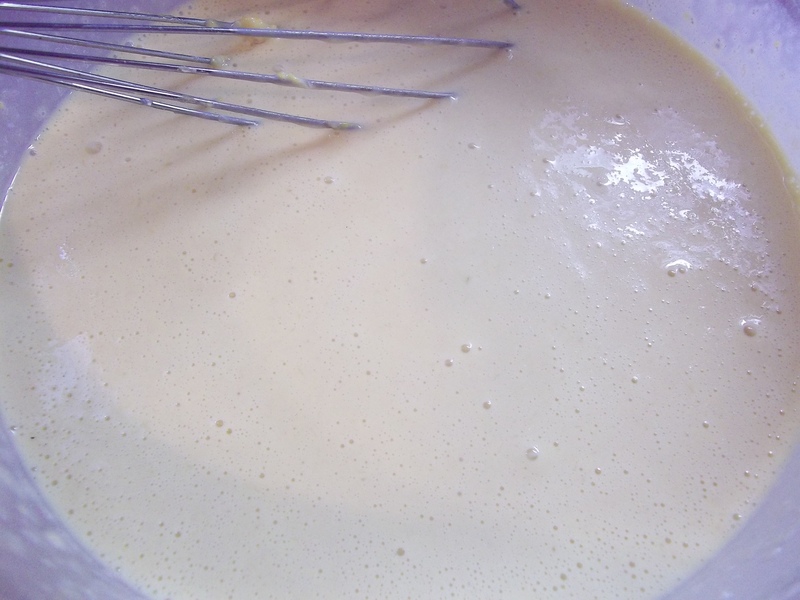 Shake to loosen crepe as it cooks. 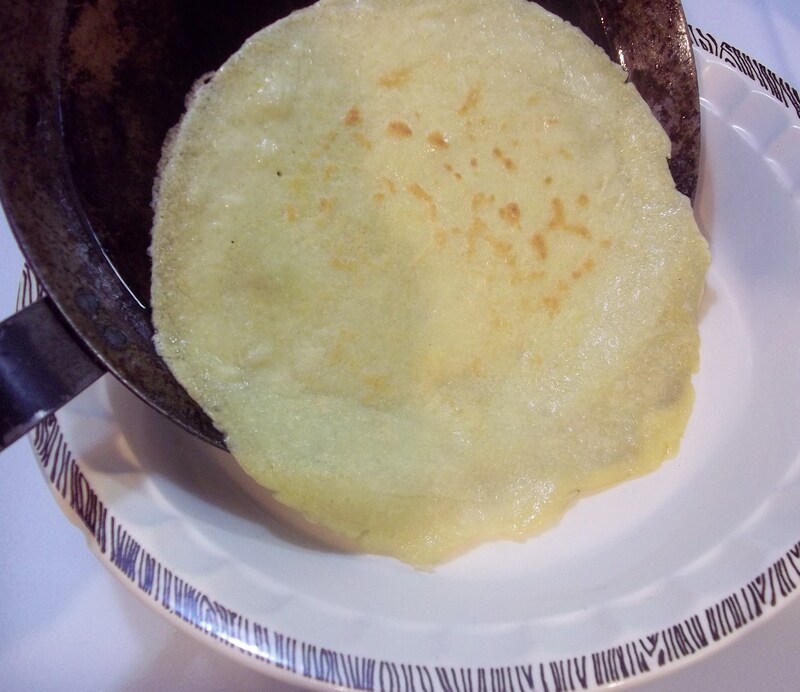 Tilt pan to slide crepe off onto a plate. 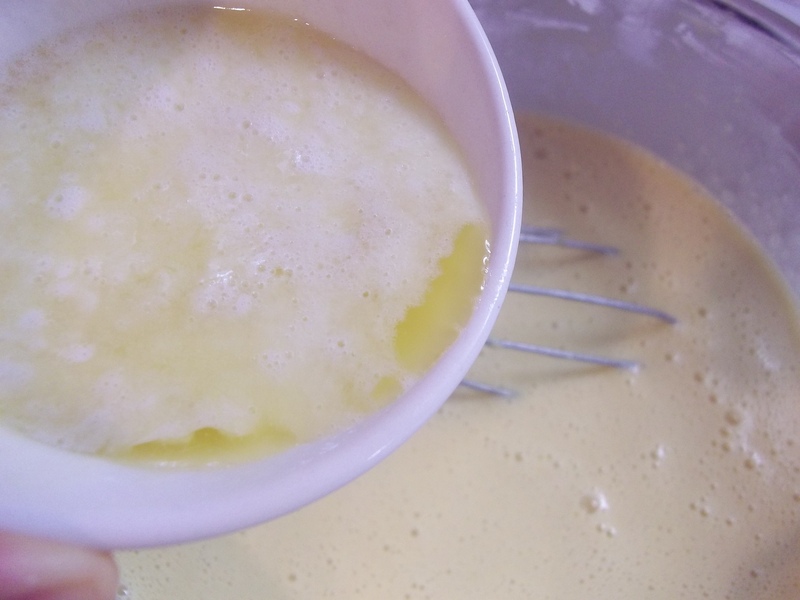 Repeat until all of the batter is used, adding butter between every few crepes to the pan if it gets too dry and crepes begin to stick. 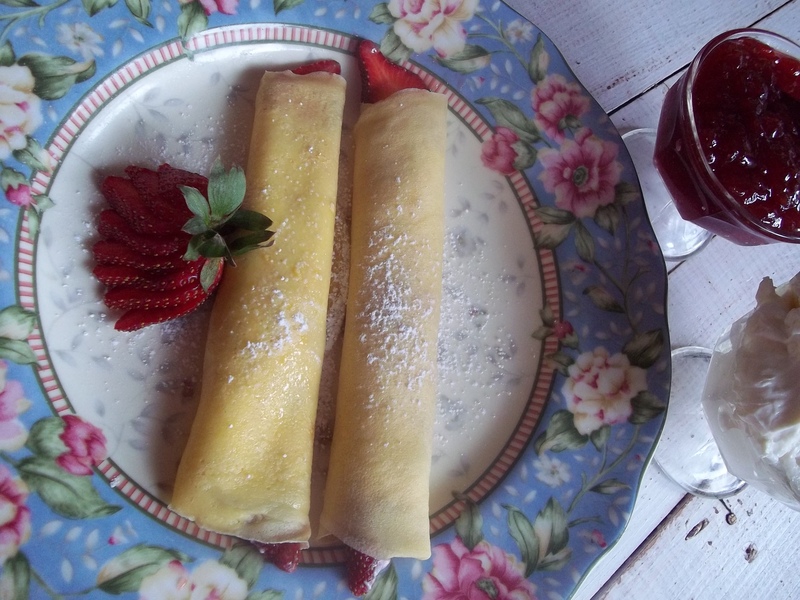 For breakfast or dessert crepes, fill with sour cream, plain yogurt, flavored yogurt, or whipped cream and fruit, if desired and roll up. 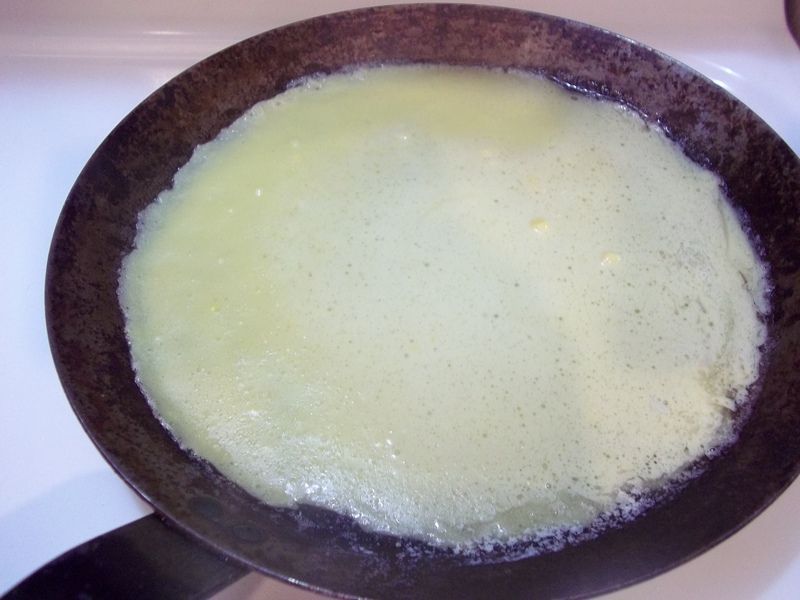 For dinner crepes, try a bechamel sauce with cooked chicken and broccoli added, sprinkle in cheese and roll up before topping with more bechamel and cheese. You can line a casserole with these and bake them. 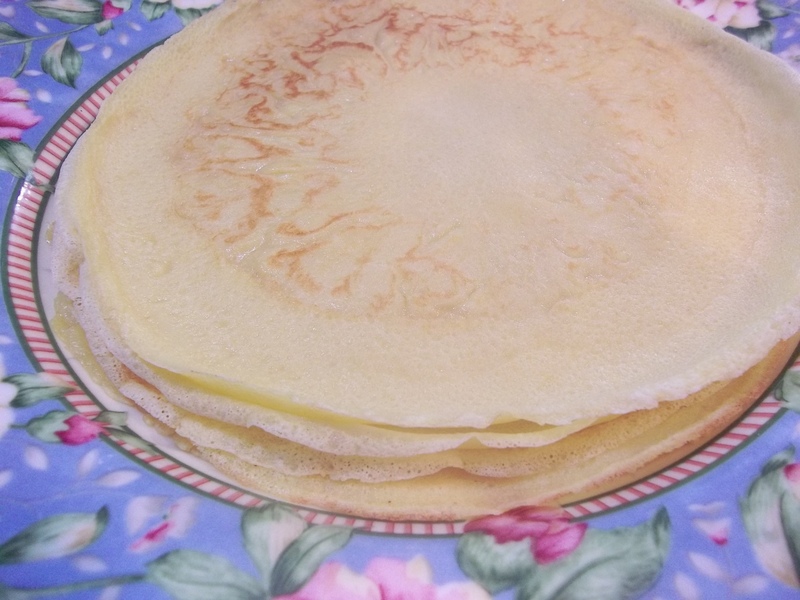 This recipe makes approximately 12 crepes. Double or triple the batch to keep extra on hand for multiple uses. They freeze very well when layered between squares of parchment paper. Freeze in portions so you can pull out a portion a day ahead of time to let them thaw in the refrigerator. Made these last night, smeared them with Nuttella, and then added chopped up bananas, sprinkled with powdered sugar…my men folk loved them!! Not to mention, they are super easy. Oh, that sounds so good. I linked a pic. of a stack of chocolate crepes on my personal FB page and thought, “Is Nutella gluten free?” That would be so good with bananas! 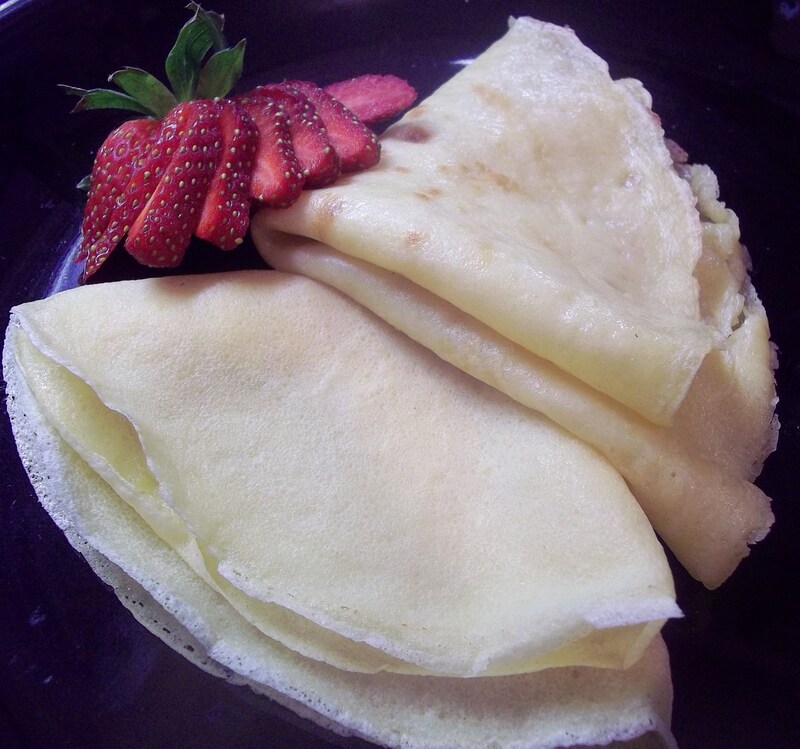 Hello, my name is Stacy and I am a crepe-aholic…..Today we had make your own crepe day, with crepes, cream cheese/marshmellow fluff filling, various fruits!!! Too yummy! I will be making a large batch during spring break next week to freeze!!! We have a book store/cafe here that serves crepes. You can go in and have a savory crepe as your entree, and then turn around and have a sweet, gooey crepe for dessert. You’d love it…being a crepe-aholic and all. Glad you’re having so much fun with them!